From the professional peloton comes the Men's P.R.O. 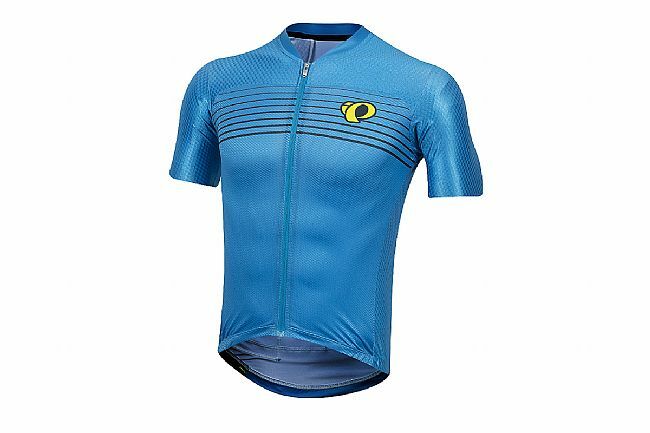 Pursuit Speed Jersey from Pearl Izumi. The jersey that has stood on the podiums of some of the greatest races in the world. 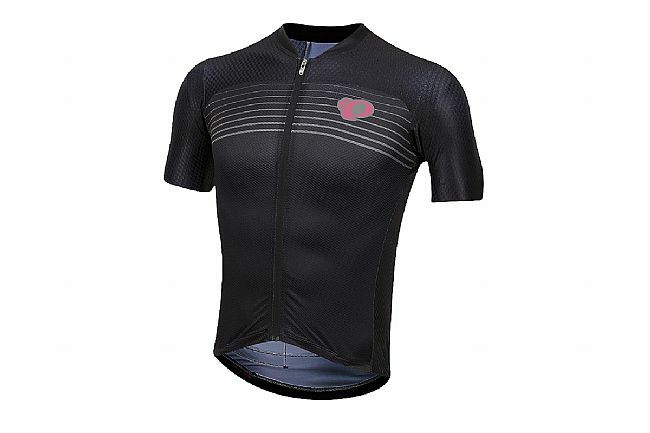 This cycling jersey features a highly engineered, race oriented cut and our patented Speed Sleeve technology to eliminate wrinkles and smooth airflow over the body. 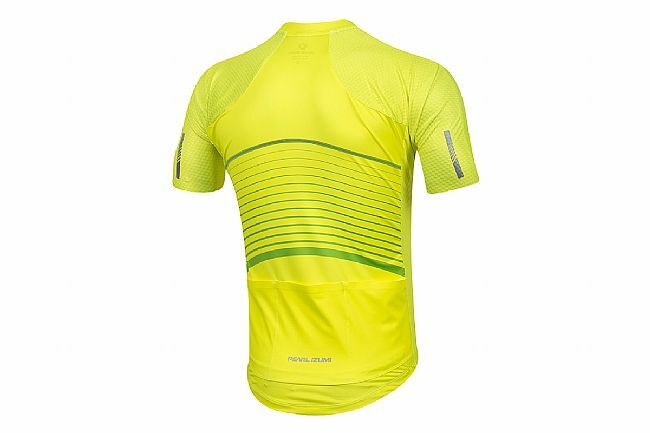 Complete the look with Pearl Izumi' matching P.R.O. Pursuit Graphic Bib Shorts. P.R.O. Aero fabric in key leading edge areas reduces aerodynamic drag. Mesh panels on front for improved air flow and ventilation. Longer, to-the-elbow sleeves reduce drag around upper arms. 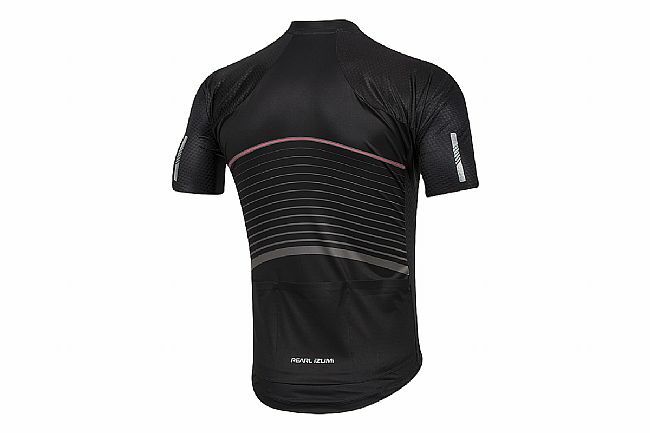 Definitely a race fit jersey, I opted for this over the regular escape or pursuit jersey because im so thin they would end up being loose. So im lucky in a sense that even the most form fitting lines from P.I or castelli are going to fit great. Very breathable and quality material although Im gonna have to buy another one because of a crash but very impressed with this jersey! 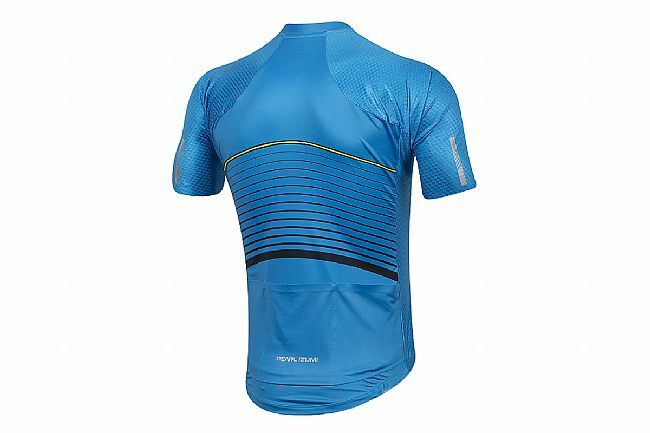 A true racing jersey without any logos that would make you an eyesore on a group ride.